Observation - Small white flowers - UK and Ireland. 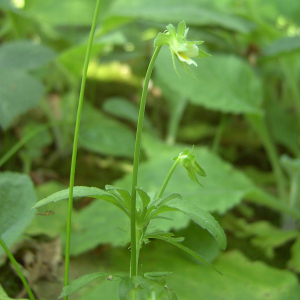 Description: Small white flowers found in a shady woodland spot. Around 10cm tall. Small white flowers found in a shady woodland spot. Around 10cm tall.